Course Description: The focus of this course is on the fundamental skills and concepts central to the successful use of SOLIDWORKS PDM. The intended audience for this course is anyone who will manage files with SOLIDWORKS PDM. 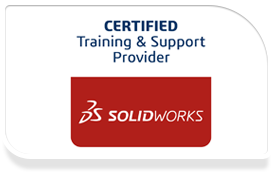 Prerequisites: Basic experience with the SOLIDWORKS software, experience with the Windows™ operating system, and knowledge of SOLIDWORKS file structure and referencing.